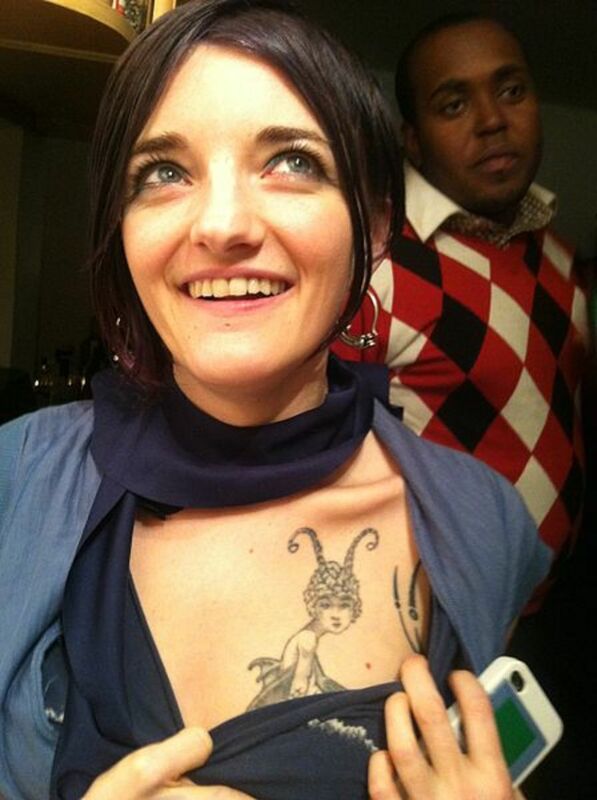 Kitty is no expert on tattoos, but she does have a few of her own. 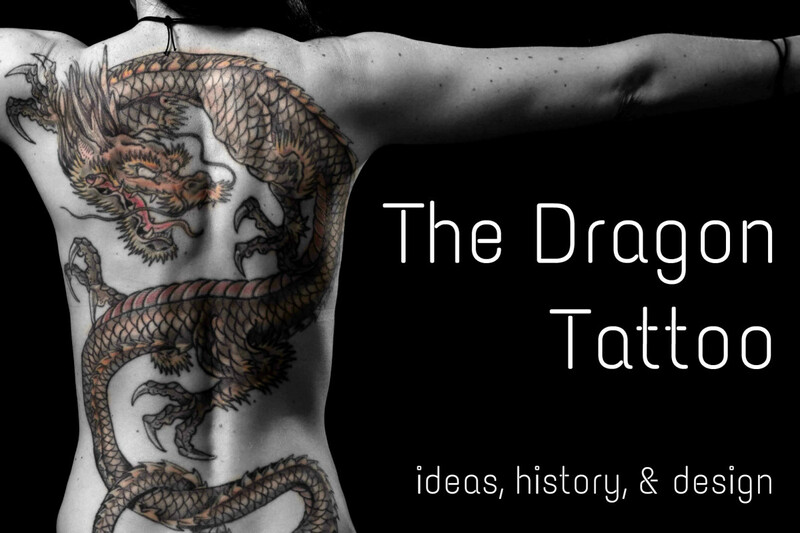 She enjoys sharing ideas on tattoos inspired by various topics. What girl didn't love fairies growing up? 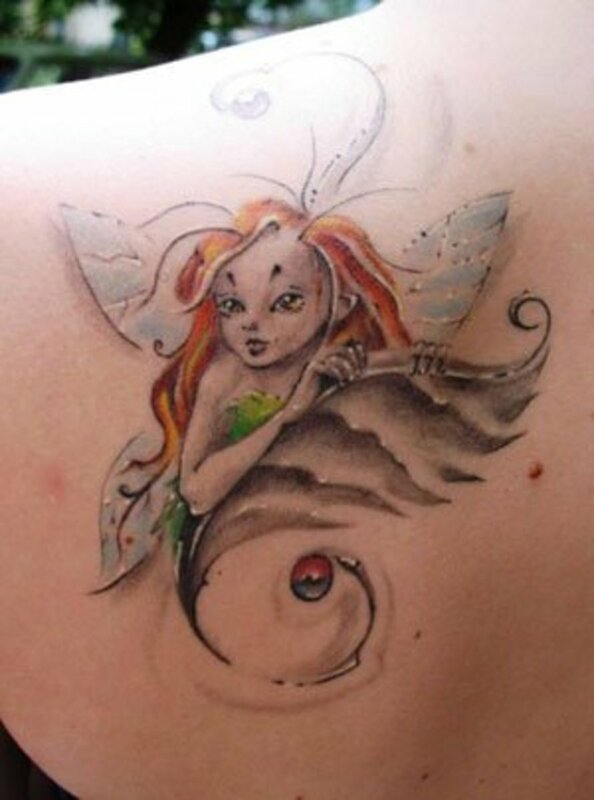 I was one who absolutely obsessed about the idea of fairies, so naturally, when I got older, I wanted a cute fairy tattoo! First (and a favorite of girls all over the world) is Disney's lovable Tinker Bell, although this design might be a little played-out, so you might be looking for a more unique and mature design. Not a problem! If you are as obsessed with fairies as I am, you'll have a particular favorite fairy artist. Some ideas are Amy Brown, Brian Froud, Selina Fenech, Jasmine Beckett-Griffith, or even Meredith Dillman. All of these wonderful artists' work can be found on the internet so you should really check them out to get some ideas about the range of styles. My favorite is Brian Froud! Consider the pose. 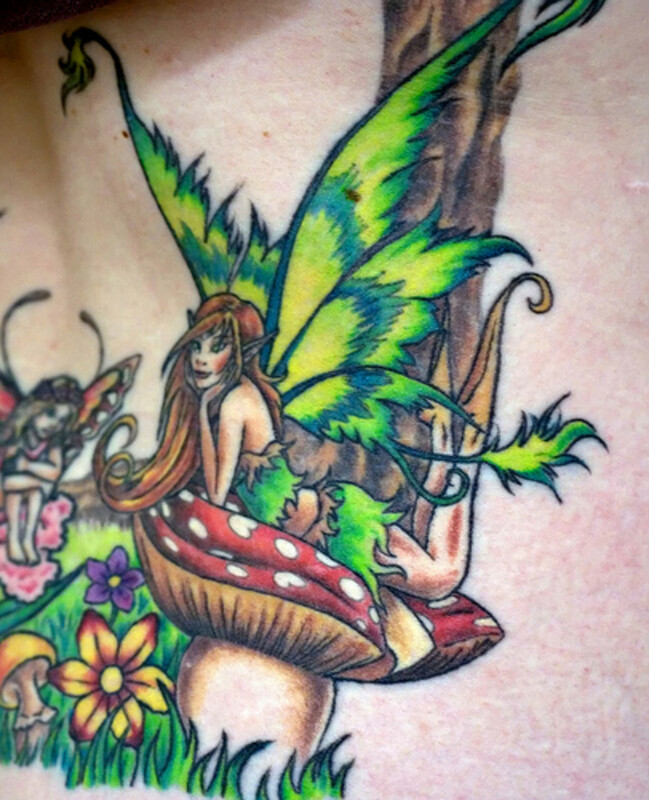 Will your fairy be sitting on a flower or perhaps a toadstool? It could be perched on a branch, caught in a bubble, riding on a bird, or playing a musical instrument. What if the fairy has butterfly or bird wings? Use your imagination and incorporate some of your personality! 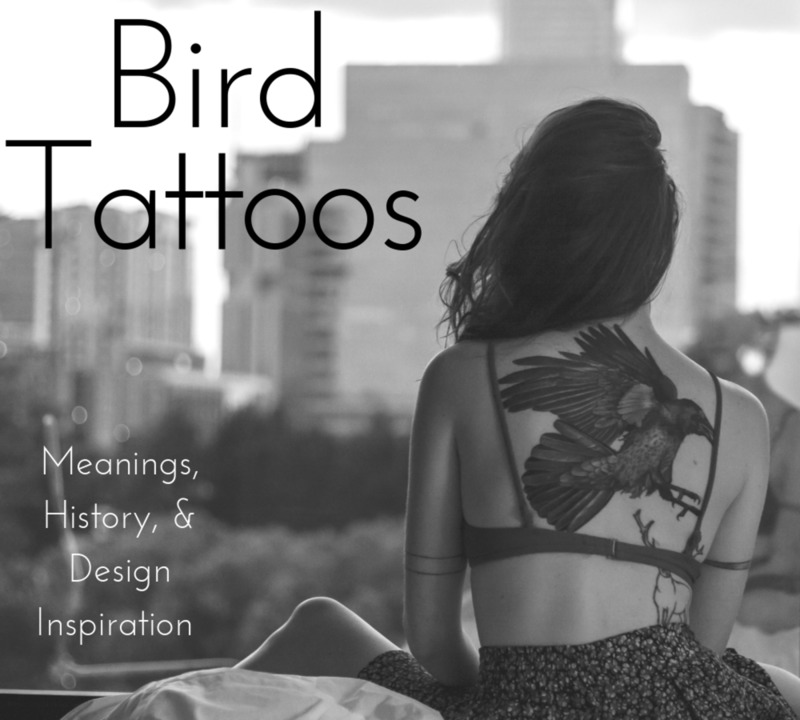 Other design ideas might include your astrological sign, your or your daughter's name or initials, or a line from your favorite fairy tale or poem. 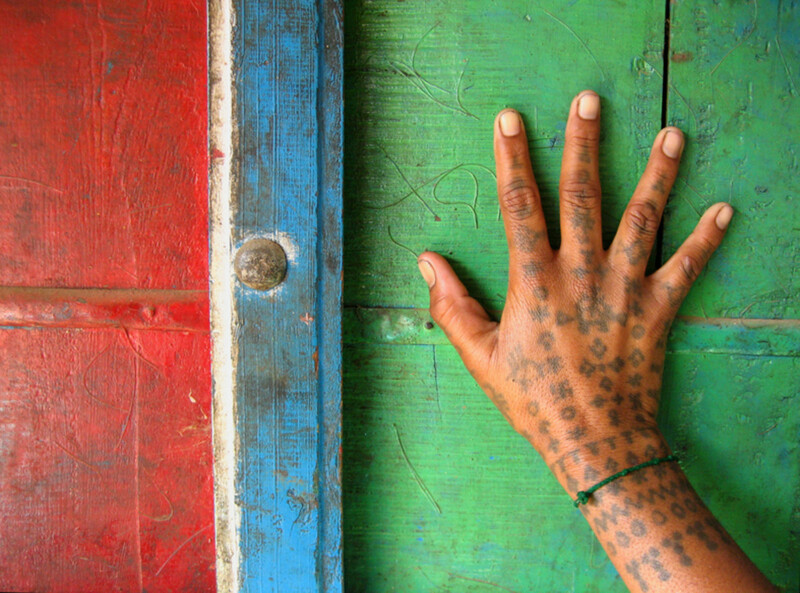 The possibilities are endless, so don't waste your money on a design that you find posted on the wall of a tattoo shop. For more pictures, scroll down. Veering 180° from the advice above, this section is for the gothic or more rebellious ladies out there who are looking for something else. 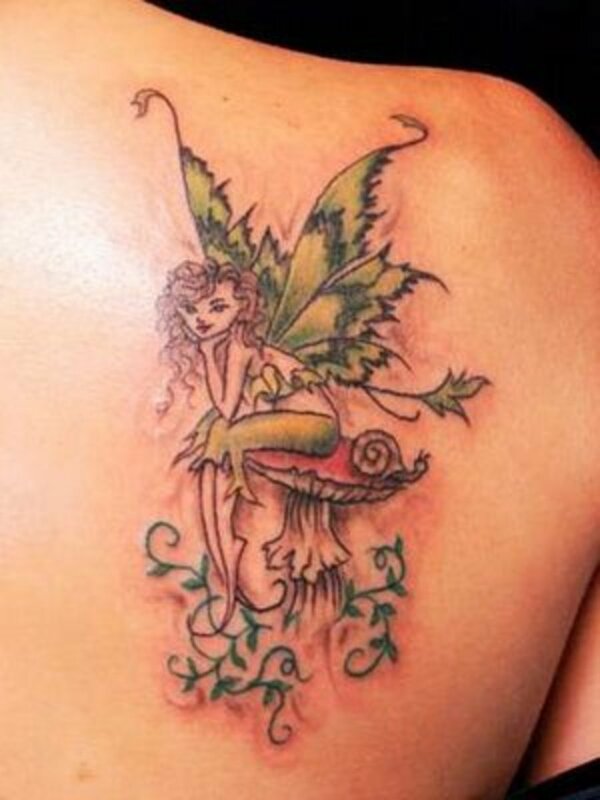 Maybe you love fairies but don't want anything too cutesy tattooed on your body. That's great, because there are loads of deviously dark designs to choose from. Amy Brown and Brian Froud both have wonderful dark fairy artwork that you could use as inspiration, and so does Selina Fenech. Google them to see what they do. 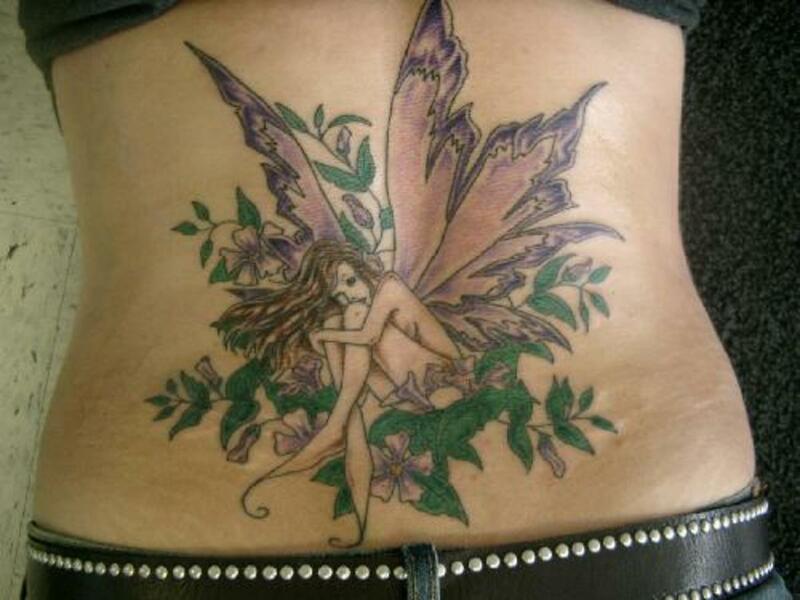 Another option is to go with a fairy who is a little less known than the typical winged type. What about a dryad or a naiad (a water fairy)? You could opt for one who is basically a witch? She could ride on a broomstick with a flowy black dress and a pointed hat. If you're into pin-up girls, maybe your dark fairy could be posing like a pin-up girl and dressed like Bettie Page with a whip in her hand? Yes, please. 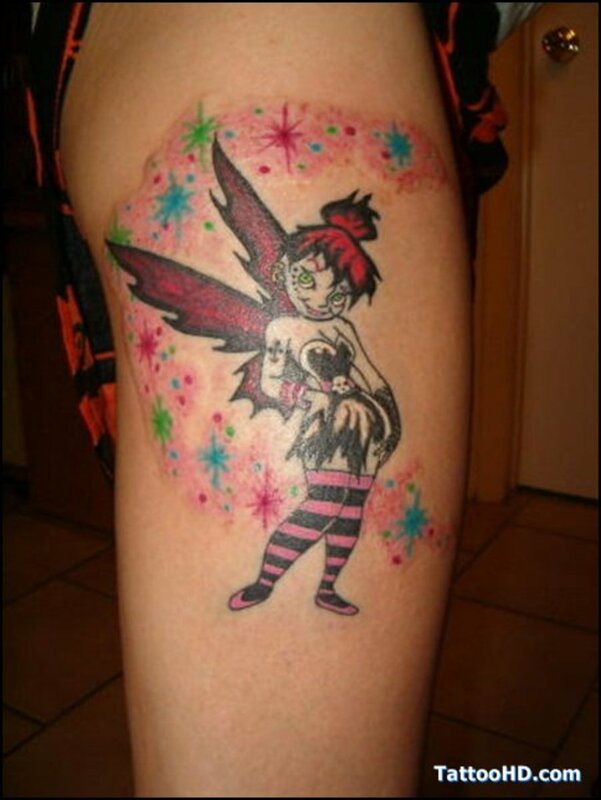 Or, if you are a true Tinker Bell fan at heart, you could consider a gothic version of the pixie. Not all fairies have to be cute, you know. Make yours as deviant and twisted as you'd like, to mirror your personality. 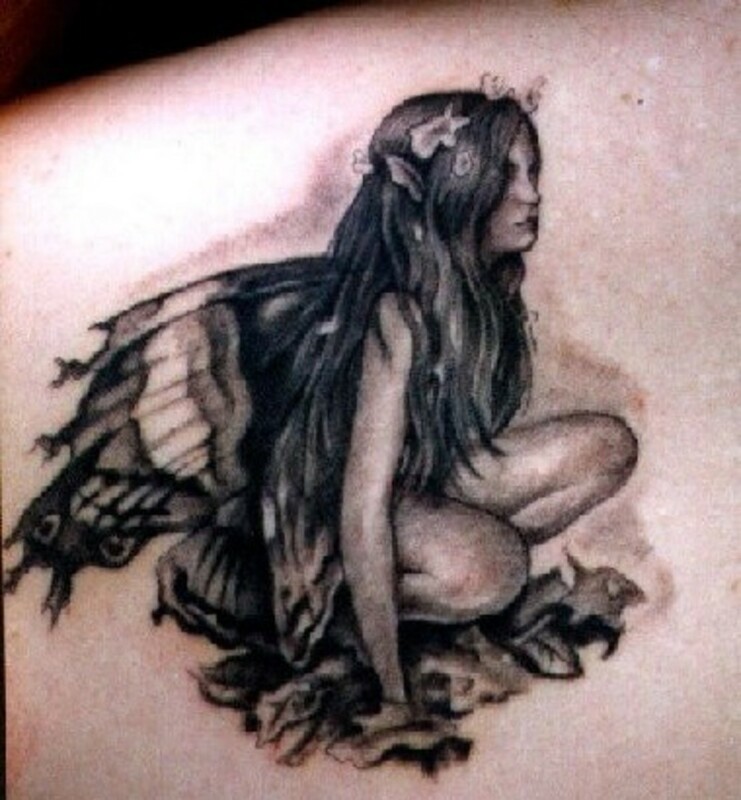 For more dark fairy tattoo ideas, keep scrolling down. 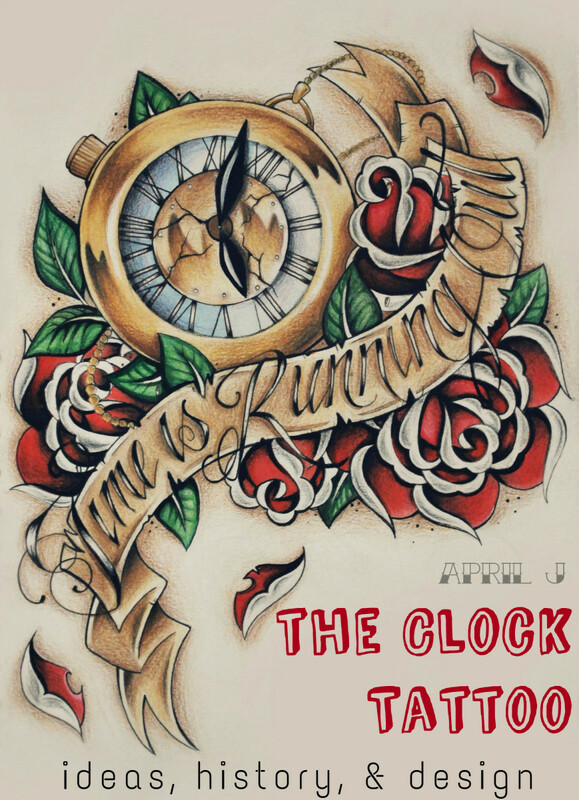 An amazing Amy Brown design. 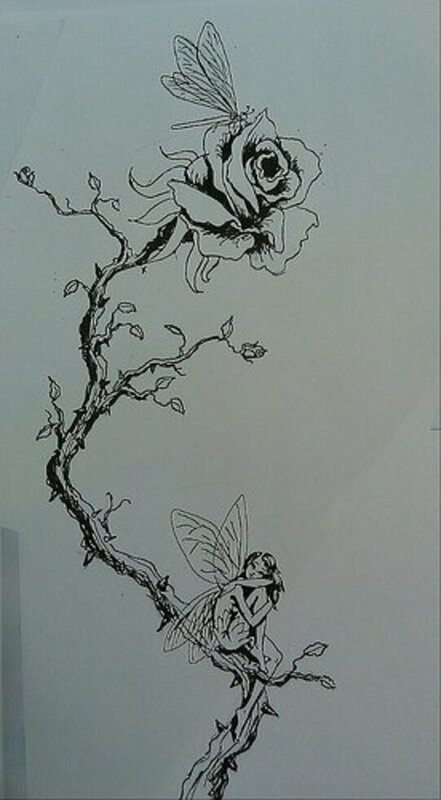 Whose fairy art would you use as a tattoo design? Up and awesome. I love tats. Meisjunk - Yes, Amy Brown's fairies are quite amazing. I love her seasonal fairies for sure. Brian Froud's still my most beloved though! BallisticJW - I hear ya. I think you should anyway!...it's just skin. Chatkath - Thanks so much! I like the dark fairies a lot, too. 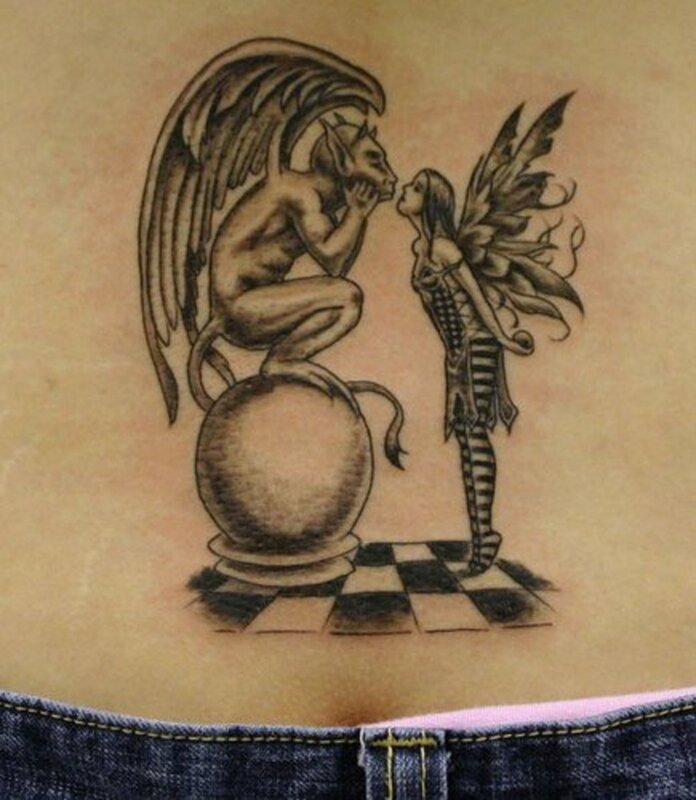 Especially the dark fairy tattoo with the fairy kissing the gargoyle. Awesome. These are nice Kitty, I like the dark fairy the best, different and timeless to me. Good job, You really have lots of good tattoo hubs now!! Beautiful. 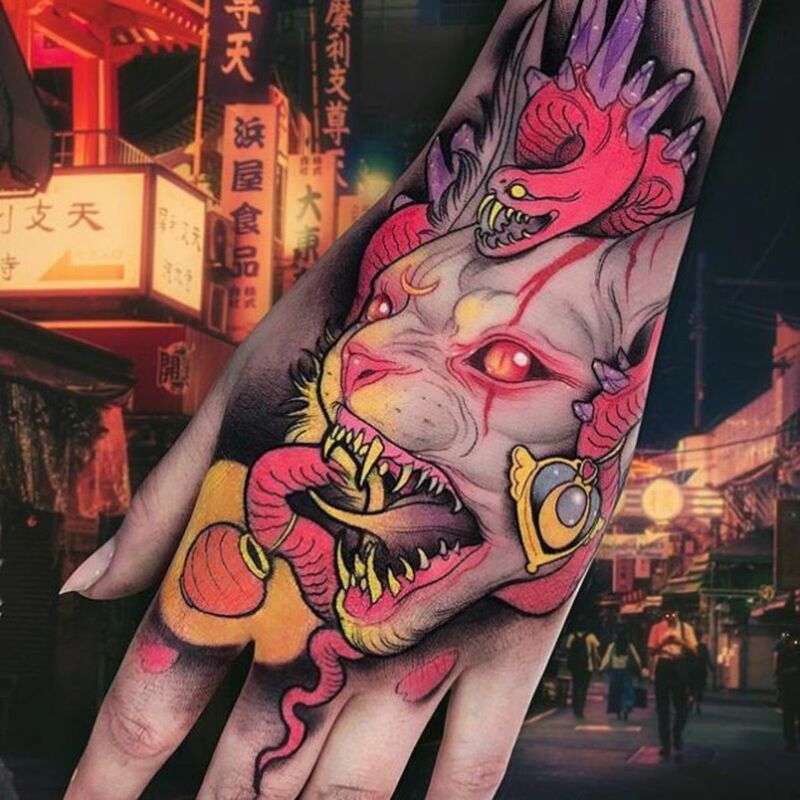 I have skin that easily scars so I won't be getting one any time soon, but I still want one! I love Amy Brown's work! =D She's always been my favorite. TH - That'd be a good tattoo for you! Go for it! 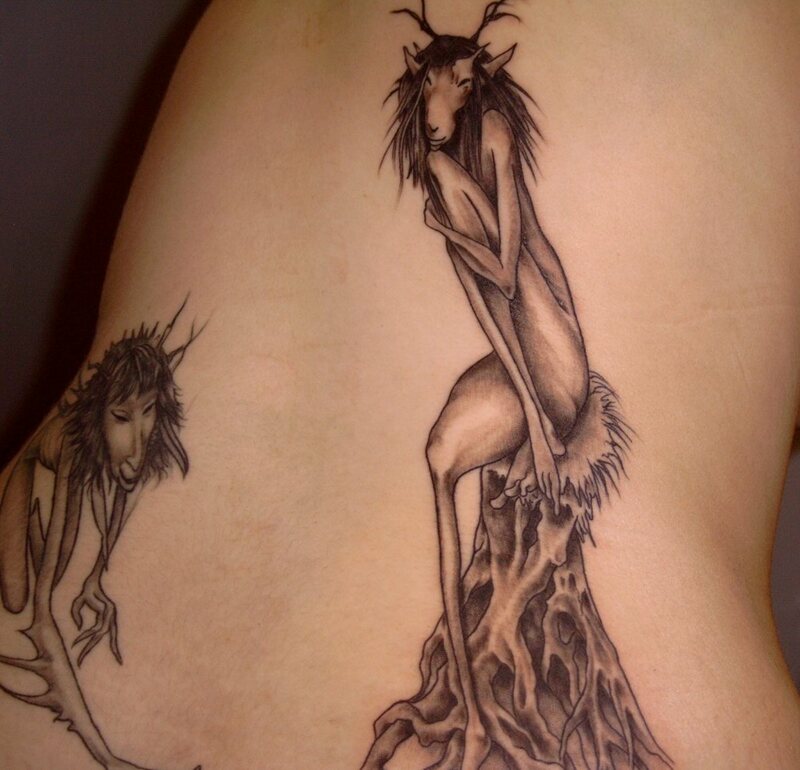 Ddraigcoch - I agree, I'm not much into the cartoon-y type fairy tattoos; my absolute favorites are the Brian Froud tattoos above. Love Brian Froud fairies! Thanks for stopping by. Some good ideas here. 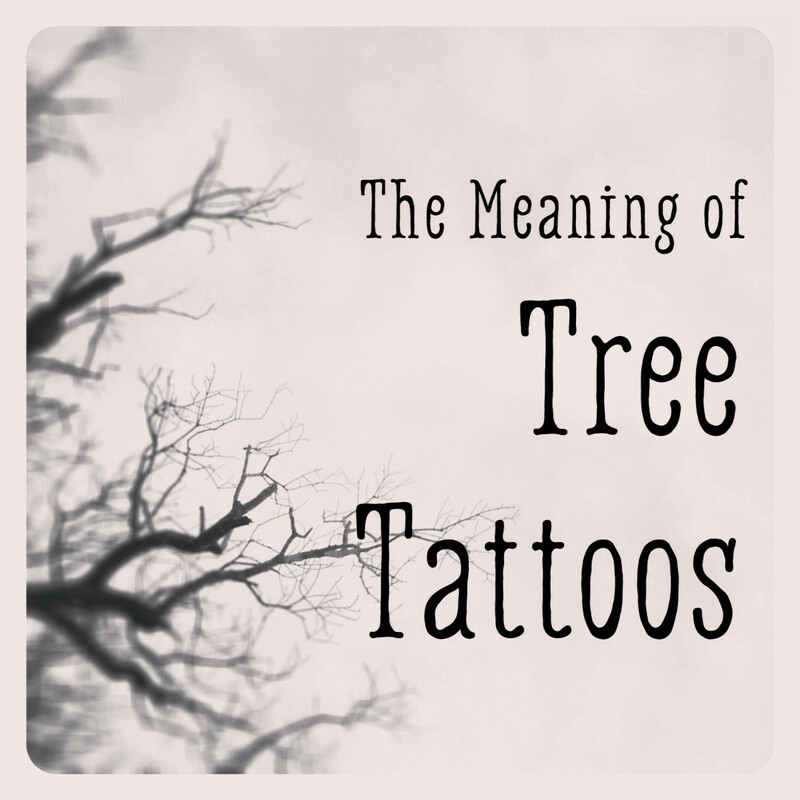 but I adore tattoos, and symbolism is quite strong for me. 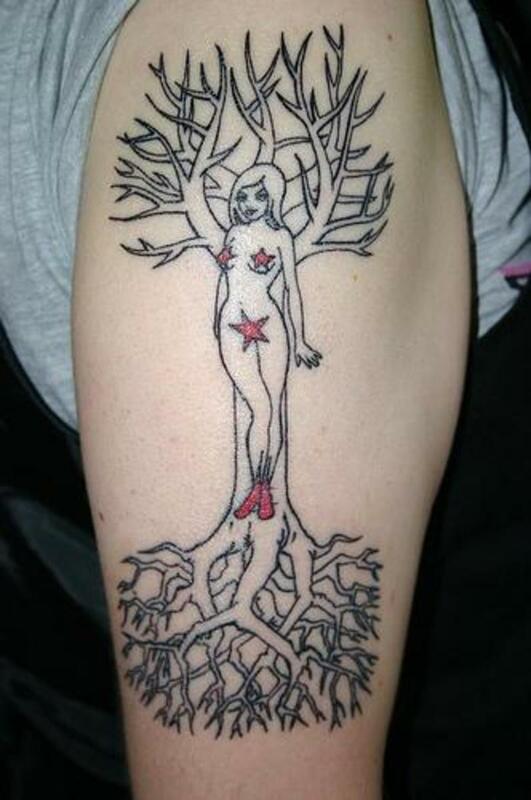 So even though there are pretty ones like " the goth Tinkerbell" I would still go for something with more meaning, like "the dryad fairy" with the tree of life. 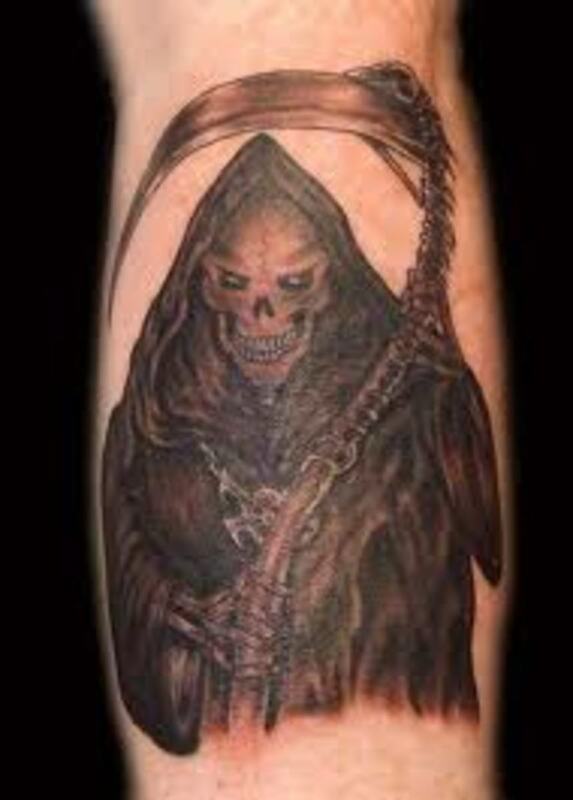 Although I do not think that tattoo is very good, it has strong symbolic meaning.